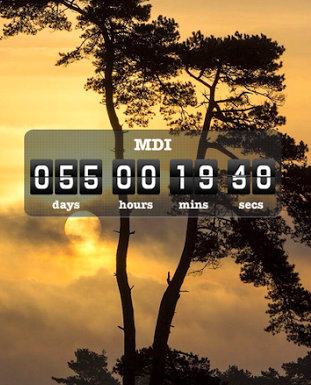 55 days until MDI Marathon. I have a few more 20/22 mile runs left in this cycle and then it's go time! One of the major components to this marathon cycle has been plyometrics. Not really sure what they are? Check out this article on Competitor. There are benefits to plyometrics - faster turn over and stronger legs - which are the two reasons that convinced me to give them a shot this time around. Earlier this summer, I received a Gymboss to review, which I used quite a bit with coaching track and my own training. Last week I decided to take my plyos workout to the next level and push myself with the Gymboss. The result? Pure exhaustion and a great workout! I used my outdoor gym - i.e. the driveway, grass and rock wall for my equipment. My box jumps were on the the rock wall, the jumping lunges in the driveway and burpees on the grass. I chose to do 10 rounds of 50s on/10s off intervals. What I love about the Gymboss is that it takes exactly 10 seconds of looking at the instructions to figure out how to use it. So easy. I really dislike equipment that is complicated - and the Gymboss is not! I hope to make it to at least one session. I work at the gym on Tuesday nights. Maybe I can swap with one of the guys. I really want to make it. Terry is amazing! I started doing plyo workouts several years ago and they really helped my running and my strength! 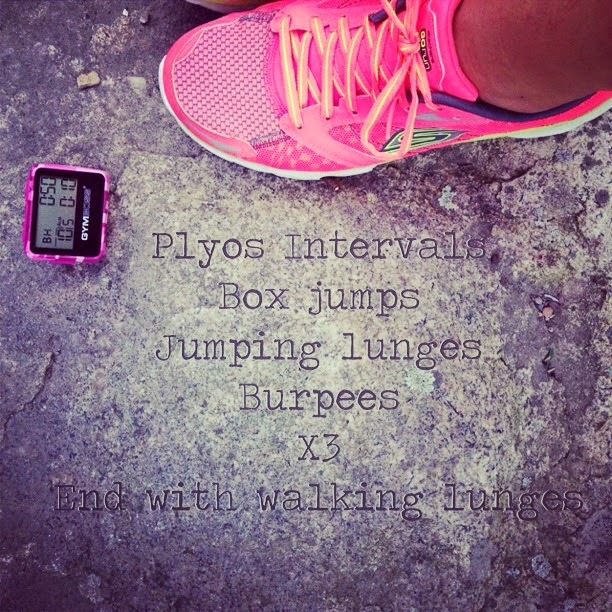 Those burpees! Love my gymboss too, I also added in yoga this year and I don't know whether or not it was the magic ticket but I give it the credit for getting me back to running strong and being able to sleep better at night. I have 12 days until my next race!